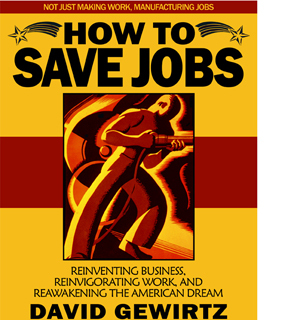 Editor's Note: This article begins our new series excerpted from AC360°'s contributor David Gewirtz's upcoming book, How To Save Jobs, which will be available in December. Over the next few months, we'll be excerpting the first section of the book, which answers the question, "How did we get here?". Last week, we answered the question, What is a job? 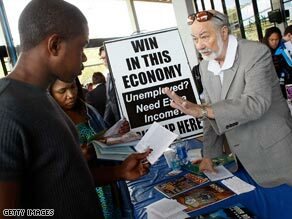 This week, we'll look at a short history of jobs. To learn more about the book, you should follow David on Twitter @DavidGewirtz. Human civilization goes back more than 16,500 years. Harvard Professor of Prehistoric Archeology Ofer Bar-Yosef talks about a civilization he named the "Natufians." These were a people living near modern-day Israel, an ancient tribe he believes were perhaps the world's first farmers. Today, the area near Israel and Jordon is barren and dry. But 16,500 years ago, it was very different. Using palynological (the study of spores and grains), paleobotanical (fossil plants), and geomorphological (the origins of landforms) data, Professor Bar-Yosef describes the region as "an oak-dominated parkland and woodland that provided the highest biomass of foods exploitable by humans." In other words, it was very Garden of Eden-y. These early humans were unconcerned about being able to pay their mortgages or buy their next cars. Instead, they had four fundamental needs: food, some form of clothing, objects crafted into tools and weapons, and shelter. When these early humans "went to work," they were initially hunter-gatherers. Their time was spent chasing game and finding animals and other objects they could transform into food, tools, and weapons. As far back as 16,500 years ago, Natufians processed their food. Archeologists have found ancient bowls and ground stone mortars, which imply that ancient humans transformed the raw food substances they hunted and gathered into a form they found more edible. Later, Natufians lived in semi-underground, round huts. Archeologists have found stone and lime-plaster-covered benches, as well as hearths and even kilns for burning limestone and creating bone tools. The people who made these objects were humanity's earliest masons and engineers. Over time, the Natufians, for a variety of reasons - including changing climactic patterns and populations, began to settle down. Tools have been found that indicate planting and land cultivation, as well as larger settlements. This is a good place for us to discuss the difference between "work" and "jobs." Many of us go to work, and that work is often a job. While the Natufians clearly worked (digging, planting, hunting, foraging, building), the concept of trading currency for labor was far off in the future. And that's it, really. Work is labor. A job is trading currency for labor. Trading for labor is an ancient practice. Unfortunately, sometimes people were traded as if they were property. Historians can trace slavery as far back as ancient Egypt. As abominable a concept as slavery is, it would have never existed as a practice if some people didn't need other people to get work done. Prisoners were often turned into slaves, as were criminals. America, of course, has its own history of slavery, where Africans were captured (or, in some cases, sold by other Africans) and shipped - in the most deplorable conditions - to the nascent United States. Another form of labor ownership was the so-called debt-slave or indentured servant. Although illegal almost everywhere, this practice still exists in parts of the world today. In order to pay off one's debts (often incurred in the most unfair ways possible), a person becomes a virtual slave, working to pay off debts that never seem to lessen enough to free the worker. Yet another form of indentured servitude was apprenticeship, where an individual would trade labor in return for training. In some cases, a child or teenager would be sent by his parents to a craftsman to be treated almost as property and used for free labor until the child fully learned his or her trade from his craftsman owner/instructor. Colonial America was a place of tradesmen and guilds. With the exception of a very few world-spanning enterprises like the East India Company, there were few large employers. Most people either worked for themselves or for local tradesmen and merchants. So much did these early craftsmen identify with their trades that their surnames became associated with their tradeskills. Today we have surnames like Archer (someone skilled with a bow and arrow), Baker and Baxter (both used to describe people who make yummy cakes and breads), Brewster (a female brewer), Carter (often someone in charge of stables or wagons), Chamberlain (someone in charge of the household), Chapman (a merchant with a marketplace booth), Connor (an inspector or tester), Cooper (someone who makes barrels), Granger (the steward of a farm), Harper (someone who plays the harp), Jagger (the person in charge of trains in a coal mine), Joyner (someone who joins pieces of wood), Mason (someone who works with stone), Mercer (someone who deals in expensive silks), Parker (someone who manages parks), Poynter (a lace maker), Rodman (today, a very flamboyant basketball player, but back in the day, a surveyor's assistant), Sawyer (someone who cuts timber), Smith (someone who makes or repairs metal items), Turner (someone who uses a lathe), and Wainwright (someone who builds or repairs wagons). Thankfully, very few families adopted the trade of "ankle beater" (someone who drives livestock to market) and although a "batman" was an officer's servant in the army, our Batman is known to everyone as Bruce Wayne's alter-ego (and the owner of that hottest of hotrods, the Batmobile). For the record, my last name - Gewirtz - means herb or spice and although my immediate family has no record of any ancestors in the spice trade, my great-grandfather lived in a part of the world that was on the ancient spice trade routes. I also know for a fact that us Gewirtz's are pretty spicy folk! Back in colonial times and earlier, skills were passed down through apprenticeship. Guilds were created to control trade, share skills, and create barriers of entry to outsiders. One of the closest analogies we have today for indentureship is in the scholarship practice of most modern universities. Nearly all modern Ph.D. programs consider graduate students to be a neverending supply of nearly free labor, assisting staff and professors in various research projects, in return for course credit and thesis support. Stay tuned. Next up we'll talk about the transactional nature of work. That was absolutely fascinating. Thank you very much.